When the Green Bay Packers’ conclude their Week 9 game against Detroit, their season will officially be half over. People try to avoid overstating the importance of a single game, but the Monday night contest against the Lions might be as big as they get for the remainder of the season. A win would put the Packers at 5-3 and drop Detroit–losers of three straight–to 3-5. That would give Green Bay a two-game edge over the Lions and pull them within a game of the 6-2 Vikings, who have their bye next week. The Packers haven’t looked in sync with Brett Hundley at the helm, so the adjustments that Green Bay made over its bye will be key to how the rest of the season plays out. For starters, recent history favors the Packers in games following bye weeks. The team is 4-1 over the last half decade in post-bye games. This year, the hope is that Green Bay made some offensive adjustments to let Hundley succeed moving forward. The Packers’ new quarterback struggled in each of his first two games, posting poor completion percentages and yards per attempt against New Orleans and Minnesota. However, part of that could be due to limited practice with the starters. But there won’t be any excuses for Hundley in Week 9. He’ll have had two weeks of practice with the first team offense, and his full array of receiving weapons will be available. The offensive line is finally getting healthy as well, which should go a long way toward helping Hundley be more comfortable throwing the ball. 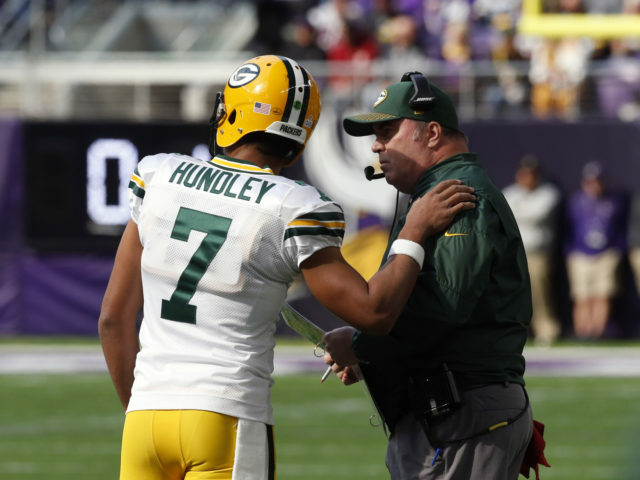 With three years in the Packers’ system under his belt, it falls on Hundley to start proving he was worthy of being the team’s primary backup. The Packers’ will also be counting on Mike McCarthy’s ability to adapt a new game plan to put Hundley in a position to succeed. There were some questionable play calls in the Saints game that played a part in the team’s second-half collapse. Aaron Jones has been a playmaker out of the backfield, and should remain the team’s primary ball carrier for the time being. Ty Montgomery can still create mismatches, especially in the screen game, so McCarthy would be wise to implement more quick-hit routes to get the ball out of Hundley’s hands quickly and into those of the team’s playmaking wide receivers. A revamped offensive game plan could go a long way toward fixing a unit that’s looked stagnant without Aaron Rodgers. While the biggest adjustments will likely come on offense out of necessity, Dom Capers will need to get the defense back on track as well. There are too many good individual players on Green Bay’s defense for the unit to continue playing so poorly, which probably points to a scheming issue from the defensive coordinator. Morgan Burnett, the leader of the secondary and one of the Packers’ most crucial players, could return after the bye, which would give an instant boost to Green Bay’s defense. One player can’t completely turn around the defense, but Capers could very well be coaching for his job and needs to show he can create schemes to allow talented players to succeed. 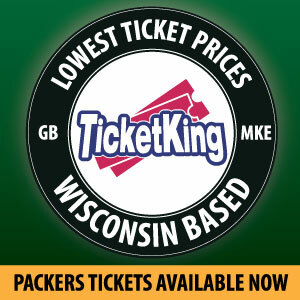 The Packers undeniably have a long road ahead of them if they want to make the postseason for a ninth straight year. Their Week 9 game won’t make or break the rest of the season, but a win would provide a much needed morale boost to both the team and its fanbase. The adjustments that Hundley, McCarthy, Capers, and the rest of the team made over the bye will go a long way toward how the rest of 2017 plays out. Can Brett Hundley Get Packers' Season Back on Track? This entry was posted in Packers 2017-2018 Season, Sean Blashe and tagged Aaron Jones, Brett Hundley, Detroit Lions, dom capers, Green Bay Packers, mike mccarthy, morgan burnett. Bookmark the permalink. Coaching the problem. Has been, will be, still is. Especially Capers! I strongly disagree that week 9 won’t make or break the Packers. Hell yes it will. Division foe, home, preparation time, healthy? This game will tell us fans and all a great deal. Can both sides of the ball, and special teams win without Rodgers? Developmental program and time turn has been long enough to prove it’s worth. If the Pack loses Monday night, wholesale changes must, must happen. You may say be loyal, I am, but I’m tired of excuses very year just be honest, without Rodgers we’re a below average team. Rodgers will get a huge contract, unfortunately he won’t have the help, especially on defense, for another SB. Enjoy watching him a great QB as his years slip by…..
We’ll see adjustments from MM and DC on Monday night. I don’t anticipate the third coming of christ. I could be wrong, but our coaches are way to programmed to change. Without Rodgers the team will look about the same, below aversge. Sad state, but the past years and eye test have shown this time and time again. If you think their will be any creativity on offense and a new look defense then I feel we’re not watching the same team. Sorry to burst your poly Anna bubble, just saying what I believe and actually see. Depressing but most likely true.